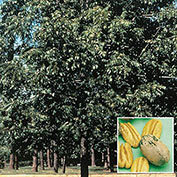 Hardy Pecan Tree | Gurney's Seed & Nursery Co.
Did you think pecans were only a Southern delicacy? Think again! 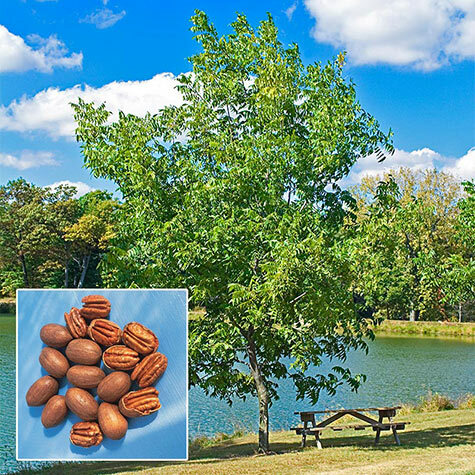 You can enjoy the buttery taste of pecans as far north as Zone 5. This majestic beauty will grow to 70 ft. at maturity and its lustrous dark green foliage will provide ample shade. Plant two trees to ensure pollination. Spacing: 50 - 70 feet. Spread: 50 - 60 feet. Yield: Approximately 40 - 50 pounds at maturity. Foliage: Large, pinnately compound leaves. Fruit: Good-sized, thin shelled nut cracks free of the hulls. Flower Form: Monoecious, males-3 branched catkins, females have flowering spikes. Soil Requirements: Well-drained, deep, moist, fertile soil. Comments: Tolerates temperature extremes. Very resistant to insects. Will thrive anywhere peaches can be grown. Rich flavored nut of excellent quality. Somewhat self-pollinating but produces better when planted with another tree. 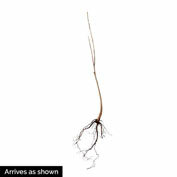 Difficult to transplant; long taproot. Not available in AE, AK, AZ, CA, GU, HI, PR, TX.